EasyInstall OS Deployment and Windows OS Deployment is used by both public and private companies and reduces the overall cost and TCO of deployment, maintenance and support of Microsoft® Windows operating systems. 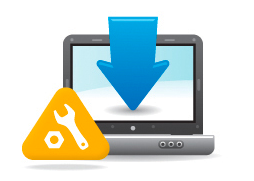 EasyInstall OS Deployment is a powerful, ITIL-compatible flexibel standard solution. Turn on the computer, boot from the network and enter the computer name. The installation (OS Deployment) of the operating system, hardware drivers, service packs, and configuration settings, are subsequent performed fully automatically. Subsequently applications and hotfixes are also fully automatically installed in the same process. The result is a pre-configured computer ready to use. In a support case, every computer can be completely reinstalled using EasyInstall OS Deployment from the central IT department without having to visit the user. It is often faster and more efficient to reinstall instead of spending time troubleshooting the client computers. Reinstallation is fully automated and computer re-establishing incl. all packages and updates made to computer. IT support / helpdesk will use minimum time and the user is quickly up and running.